We're always on the look out for feedback. This is just a selection of some of the lovely things people have said about our workshops and performance. Thank you so much for today. All the children and the adults had a wonderful time. I can't think of anything that could have been better except that we would have liked it to be longer. So many skills I still need to practise! The girls had a fantastic time and didn't stop talking about you for the rest of the weekend. From our point of view it was wonderful to hand over for a couple of hours and be able to enjoy the session with the girls. You really do have the patience of a saint! "Critism – none – it really was great from start to finish"
Thank you so much for entertaining the 23 six year olds at my daughter's birthday party. They all had a fantastic time. My daughter particularly loved the unicycle. It was good to have the extra parents around so I'm glad you suggested a few extra pairs of hands. It meant that the younger siblings could also try out everything too. The parents all commented on how the children had got stuck in, even the shy ones. Thanks again. Thank you so much for entertaining The Avenue children (and parents) yesterday. The main feedback we received (from nearly every family) was that their children gained confidence in trying out the skills, that there was social communication between the children and that all the families were delighted with your approach and how you interacted with the children. All the families were interested in us running further circus workshops in the future. Just a few lines about Tuesday!! Thought it was a fantastic day and our children at The Leys absolutly loved it!! For me it was great to see all children so engaged from our 4 year olds right up to our 11 year olds.Your demonstrations were excellent. And lastly the amount of equipment you brought was incredible. “Firstly the whole day was great, the kids had a brilliant time and there were lots of opportunities for them to try new things – they especially loved the Circus Skills”. The general consensus was that you targeted the workshop to the needs of the different age groups. All the young people enjoyed the session as well as the Leaders and enjoyed trying new skills. Glyn – what a show !! Thank you so much for running such a successfull workshop. This was my first experience of a circus workshop, and it was a perfect way to get the children (and adults) involved - I can't think of a better way of keeping so many kids entertained, and it was obvious how much they enjoyed it. It was lovely to work with someone who genuinely enjoys his work. I will be recommending you to organisers of future events. Mischa said he had the best party he's ever had and personally I agree. He was relaxed and happy and from the start was obviously happy in your company which is good. He liked your approach to teaching him and gained a lot from the experience. His friends were obviously all very happy too and for me it was interesting watching how they all took up different activities. I felt that all the children were very happy and relaxed (which isn't always how parties go) and I do think a lot of that was down to your calm and approachable manner. I have to say that I really liked your approach to the children, the fact that you were instructive but not too directive and the fact that you were very natural with them. I really don't like the enforced "entertainer" style that some people have. Personally I don't feel there's anything you could have done to make it better. Everyone was amazed by your show on Saturday, they were especially impressed when they saw you outside in your Glow suit as they approached the entrance. They said it was a great start to the evening. I will definately book you again at future events I organise. Thanks again for a fabulous evening's entertainment! The feed back was all very very positive. Everyone said how good you were and everyone enjoyed it including the staff so we will definitely be asking you to come back in the summer if you are free. Many thanks for Friday’s session – it really was very enjoyable! Everyone is still talking about the new skills they have learnt! The informal approach really worked well for us and we all worked well as a team which was what we wanted to happen – I hope you didn’t think we were too rowdy! I had a great time and was really pleased to see my team doing something creative and enjoyable. I think they were surprised how much they did enjoy it on the day which is great and testament to how it was run. "I found it very enjoyable and he explained everything really well, I felt it was a good ice breaker for me not having met everyone before." "Thought the way he broke everything down & explained it was fab. Liked the fact that we didn’t spend too long on 1 thing so kept the ‘energy’ levels going." "his one to one patience and help gave more confidence to have a go – I thoroughly enjoyed the afternoon. Thanks"
"I found the afternoon to be very uplifting and enjoyable, it gave us a chance to forget work for a couple of hours and have a laugh." Thank you, Glyn, for a superb circus workshop. It was great fun and your teaching and top tips were excellent. I learned a huge amount over the day but most of all I had a great time. I would be very happy to recommend you to others. thanks so much for the fantastic afternoon yesterday! I am sure that we will see you soon! I just wanted to say thanks very much for an excellent circus workshop, the learners really enjoyed it, as did the staff! It was great to see learners with low self-esteem feeling comfortable and interested enough to give all the different equipment a try, and to see learners working together to help each other master the skills. A good time was had by all! 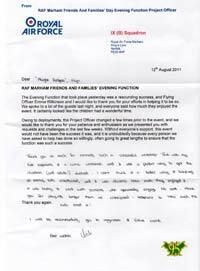 "I just wanted to say thank you very much indeed for coming along to our Awayday - everyone enjoyed the day and the activities in particular. It was really great"
"I just wanted to write you a note to say thank you so much for the workshop you did for us yesterday at my 40th birthday. Everyone who came to the party had a great time and so many people have commented on what a good teacher you are and how much they enjoyed trying all the equipment in a pressure free way with help/guidance on hand if they wanted/needed it. The children of course loved it: Already today one of the neighbour's boys has knocked on the door asking if you can come out and play! "everyone had a go at something thanks to your extensive range of 'toys' which were excellent. It was good to see some of the kids taking a real interest and learning a new skill. As for the parents well they had more fun playing with the toys than some of the kids!" "it was great and i will recommend you to other people"
Thanks for a great night, every one enjoyed it very much, most impressive. We would gladly recommend you to friends if you are ok with that? "I wouldn't hesitate to recomend you"
I may have been one of the few adults who had a cheeky try. He's patient and willing to explain. Both of the boys loved having a go at various things. It seemed busy but not so crowded that you couldn't have a go and there was plenty of props around and plenty of options. Both of my kids and I enjoyed it very much!! It was great to have circus skills at the fun fair this year. An older lady was having a great time with a hula hoop. The guy seemed very friendly. Good choice! He was really funny and patient especially with me as I was useless. I was particularly impressed with how well you were able to see what people needed to do to go to the next level with whatever they were trying to do, and to get that across in a friendly, encouraging way. So on the back of that, please let us know when you start taking bookings for next summer! I am writing to thank you and provide feedback from the session that you led at the end of the last academic year for our Year Four pupils. The children thoroughly enjoyed the session. They were engaged from the start and were full of smiles and mirth that afternoon. I really appreciate your flexibility to our requirements and I think that the session was conducted appropriately in terms of tuition and time to ‘have a go’. I think that the sign that it was such a success was the fact that the children were telling us at different points for the rest of the week that they had enjoyed the circus skills afternoon. Thank you again. A colleague at another school locally has made enquiries about circus skills in the local area and I shall be passing on your details with recommendations.